With the 100th anniversary of Stravinsky’s Rite of Spring in 2013, many orchestras around the world have been performing the work. Here in Columbus we joined forces with BalletMet Columbus and had a big success with 3 sold out performances. I was pleased to have had the chance to work with my friend Jeni Britton Bauer of Jeni’s Splendid Ice Creams on a promotional ice cream flavor to help market the event. The ice cream was inspired by the cafe culture of Paris 1913 and Jeni also cleverly looked to the original production sets and artwork of Nicholas Roerich for inspiration in the marketing artwork for the ice cream. 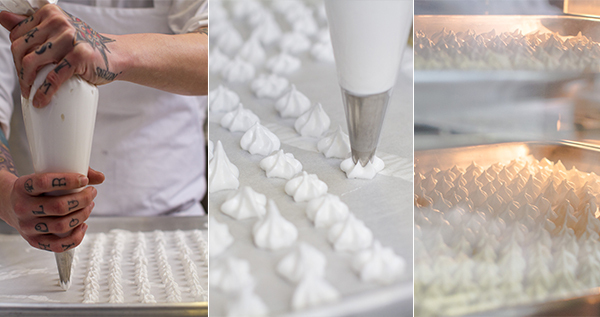 Have a look at the video post and blog about the making of Absinthe and Meringues. It’s the first Rite of Spring inspired ice cream I’m aware of.